New season! New ship! New title sequence! New characters! 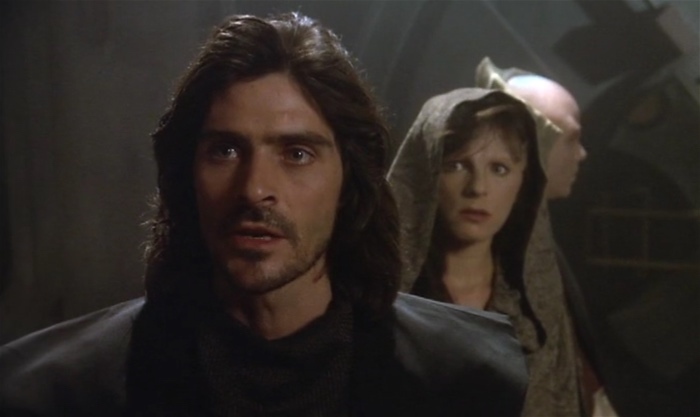 Babylon 5 takes an assured step forward as Captain Sheridan and Delenn take the fight to the Shadows, while Morden’s malign influence spreads to the capitals of Centauri Prime and…Earth. How do we celebrate this momentous episode? With another stupid song parody. “White Star (A Babylon 5 Parody in the Style of JoCo)” is based on Jonathan Coulton‘s song “Shop Vac,” which was released under a Creative Commons license (CC BY-NC 3.0), with new lyrics and vocals (and we use the terms loosely) by Chip Sudderth. You can buy Coulton’s music at his web store. Can we get a post of Chip’s latest song like he did for Soul Hunter?